While RGC axonal insult within the ONH is central to glaucomatous vision loss and its manifestations are the source of all current forms of clinical staging (visual field, retinal nerve fiber layer (RNFL) thickness, etc. ), we propose that RGC axonal insult is not the pathophysiology that defines the optic neuropathy of glaucoma. In making this statement, we acknowledge the essential need to preserve RGC axons, soma, and their peripheral connections in all glaucoma patients, because preservation of vision is the goal of all glaucoma therapy. However, we also emphasize that, to date, selectively killing RGC soma or axons alone, by whatever mechanism, has not been shown to create a glaucomatous optic neuropathy (i.e., glaucomatous ONH cupping) [1–6]. We propose that the defining pathophysiology of a glaucomatous optic neuropathy is the deformation, remodeling, and mechanical failure of the ONH connective tissues . The primary goal of this report is to explain the importance of including ONH connective tissue processes in characterizing the phenotype of a glaucomatous optic neuropathy in all species. The text and figures of this manuscript have appeared previously in a Progress in Retinal and Eye Research review of our work: Yang, H., Reynaud, J., Lockwood, H., Williams, G., Hardin, C., Reyes, L., Stowell, C., Gardiner, S.K., Burgoyne, C.F., 2017. 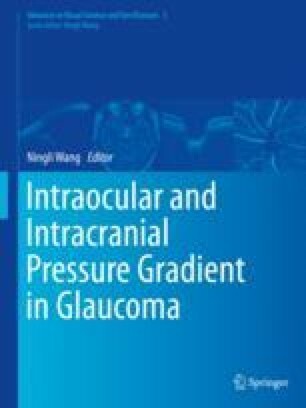 The Connective Tissue Phenotype of Glaucomatous Cupping in the Monkey Eye—Clinical and Research Implications. Prog Retin Eye Re.s Accepted for Publication March, 2017 . They have been used with permission and edited for this chapter. The work reported herein has been supported in part by USPHS grants R01EY011610 (CFB) and R01EY021281 (CFB) from the National Eye Institute, National Institutes of Health, Bethesda, Maryland; a grant from the American Health Assistance Foundation, Rockville, Maryland (CFB); a grant from The Whitaker Foundation, Arlington, Virginia (CFB); a Career Development Award (CFB); The Legacy Good Samaritan Foundation, Portland, Oregon; and the Sears Trust for Biomedical Research, Mexico, Missouri.